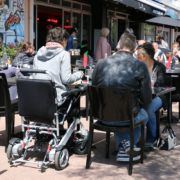 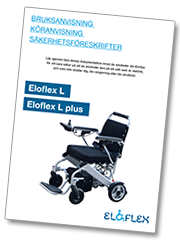 Eloflex L is our original chair model, designed to fit most types of people. 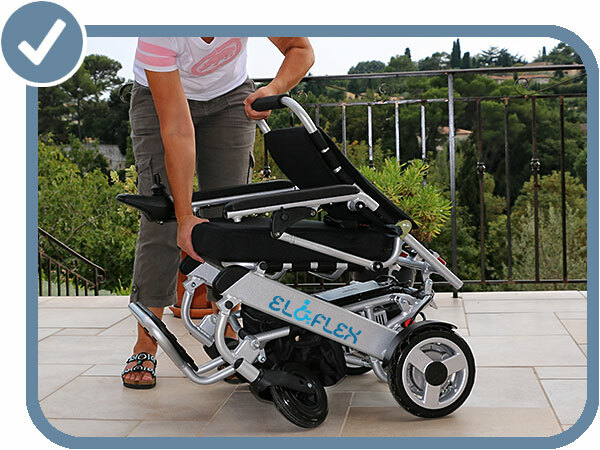 With its flexible folding construction and compact design, this all-rounder is ideal for nearly all occasions and uses. 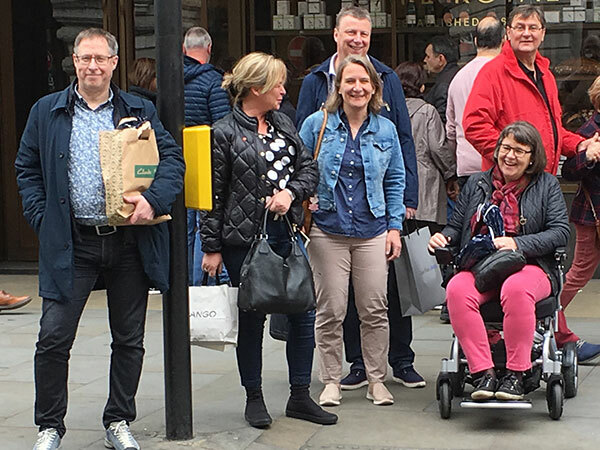 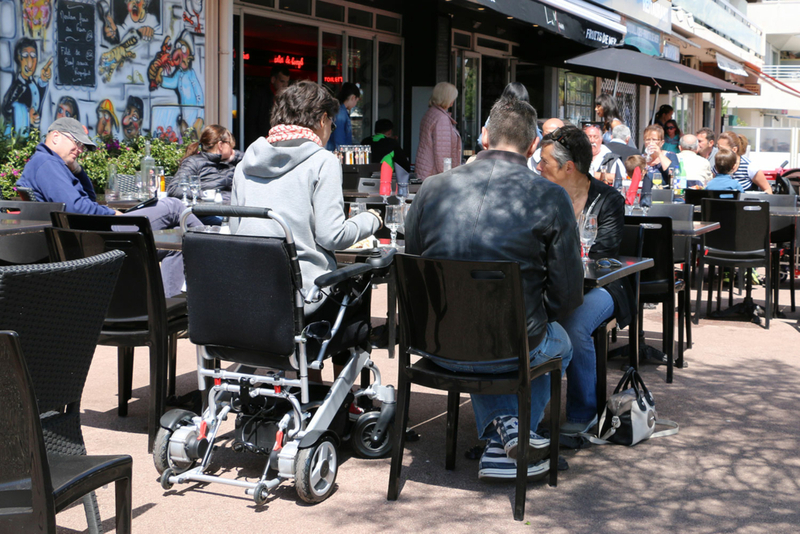 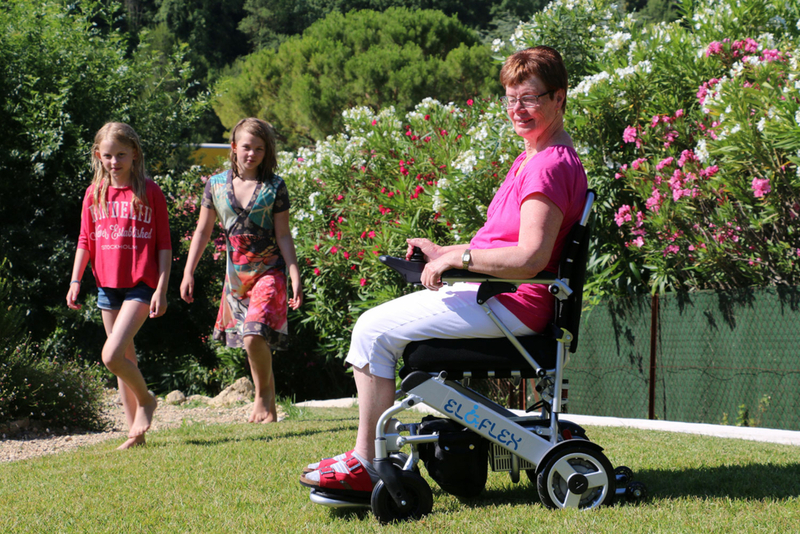 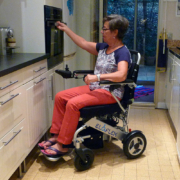 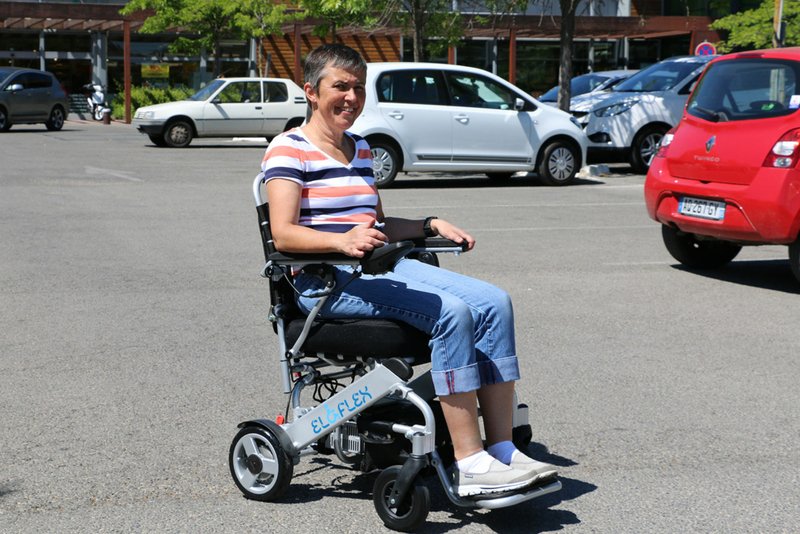 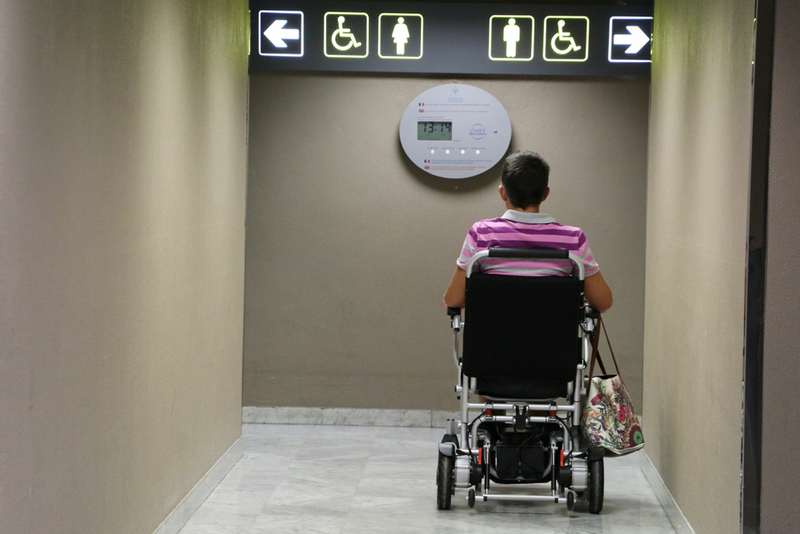 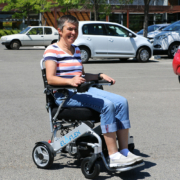 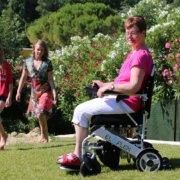 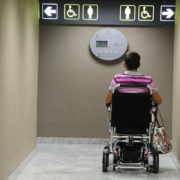 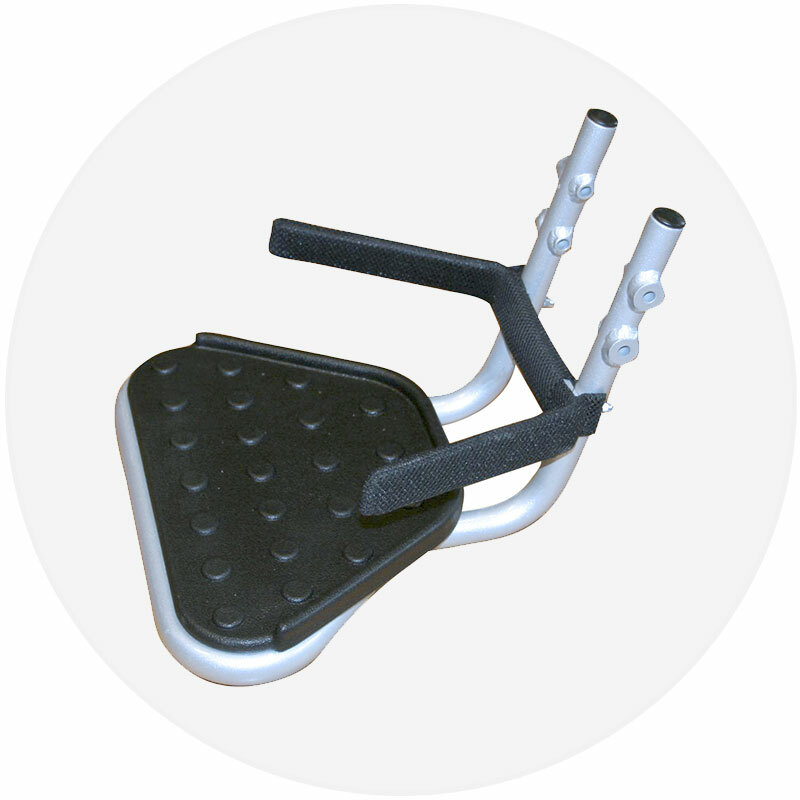 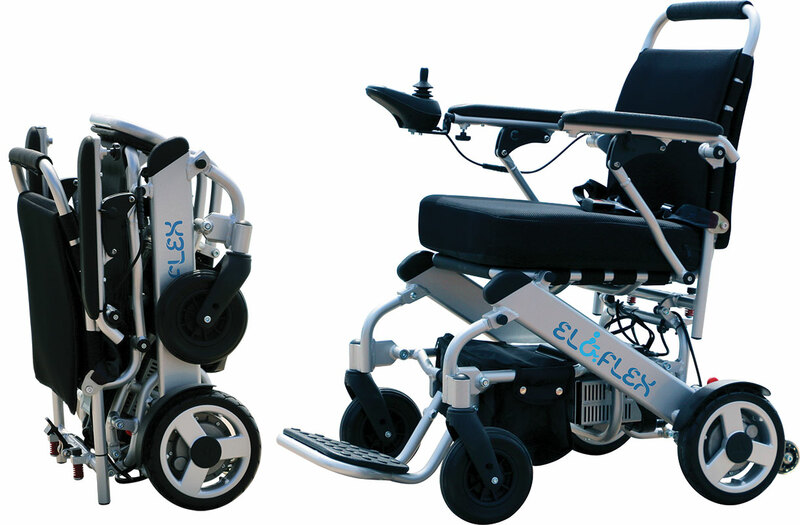 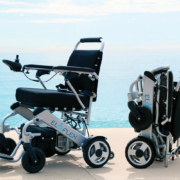 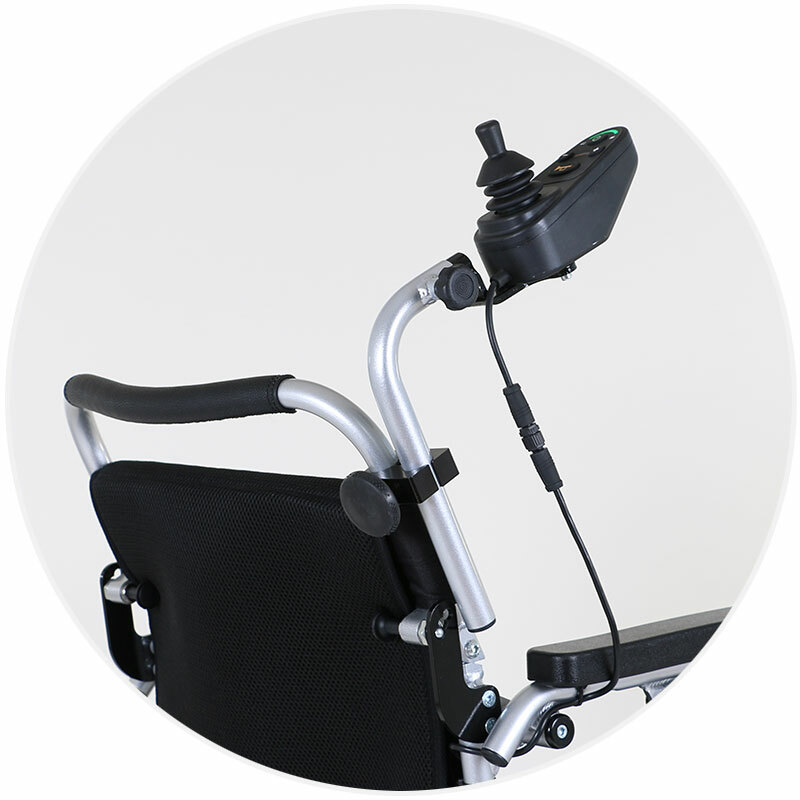 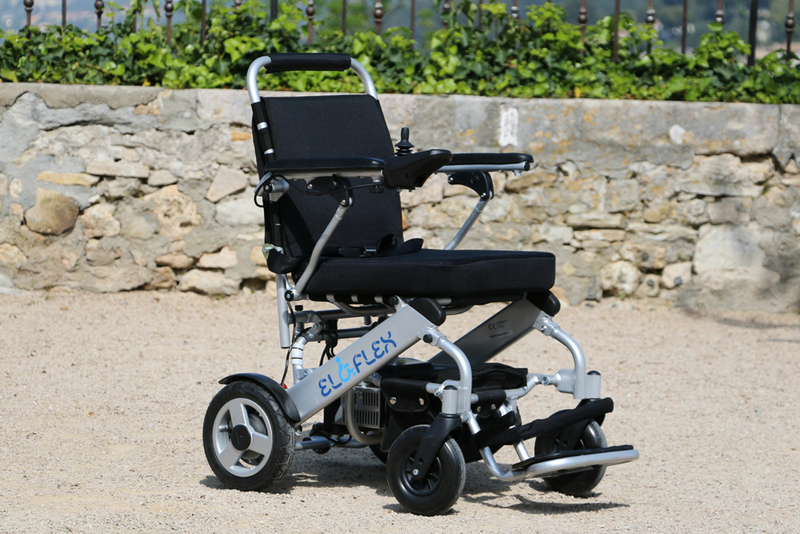 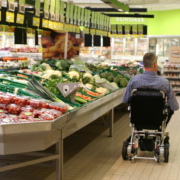 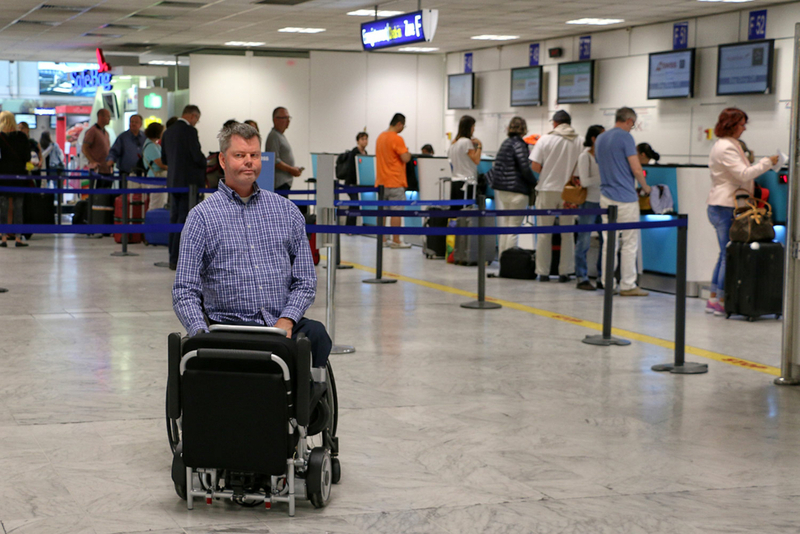 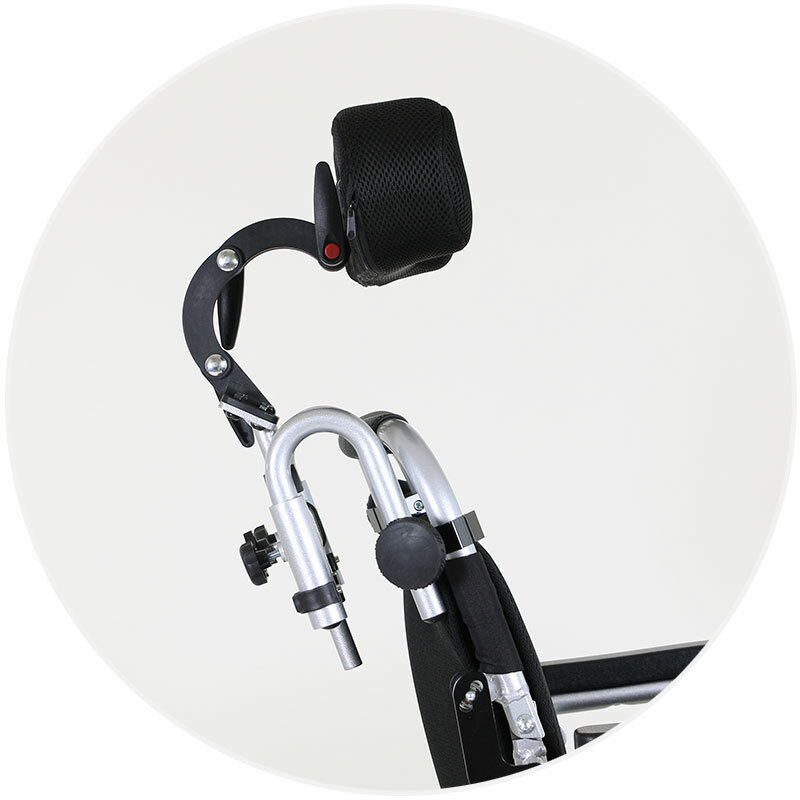 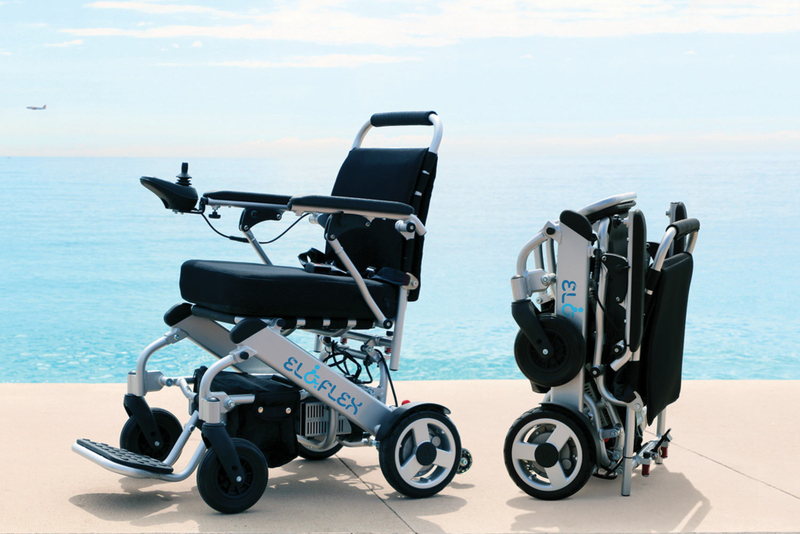 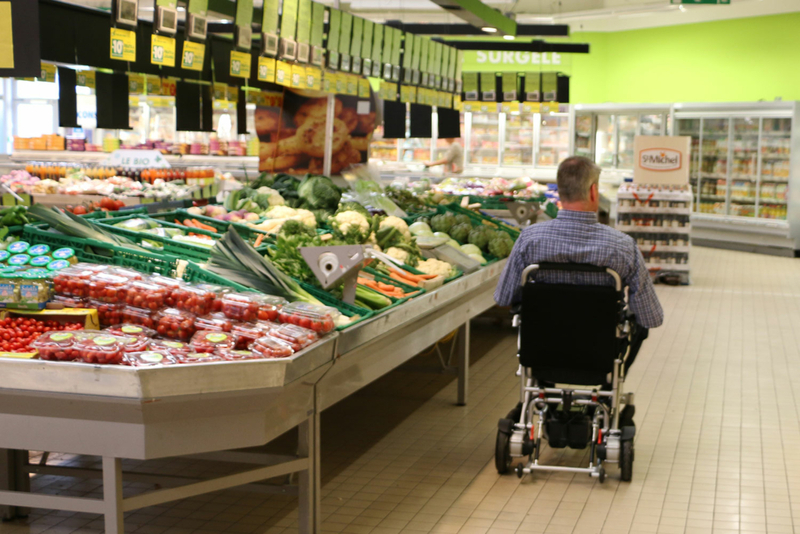 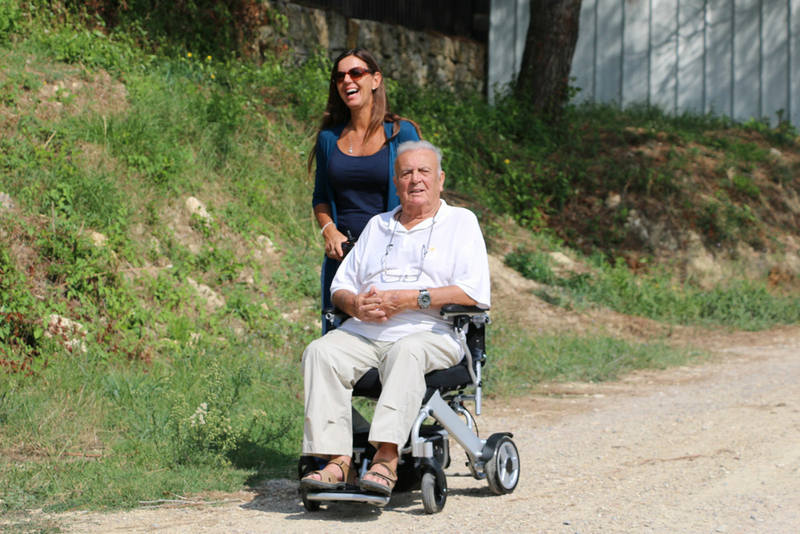 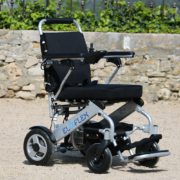 Eloflex L is our original power wheelchair, featuring a seat height of 52 cm designed to fit most people. 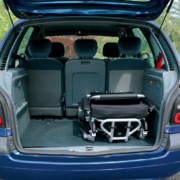 This well-proven model comes with four puncture-free tires for safe and secure driving. 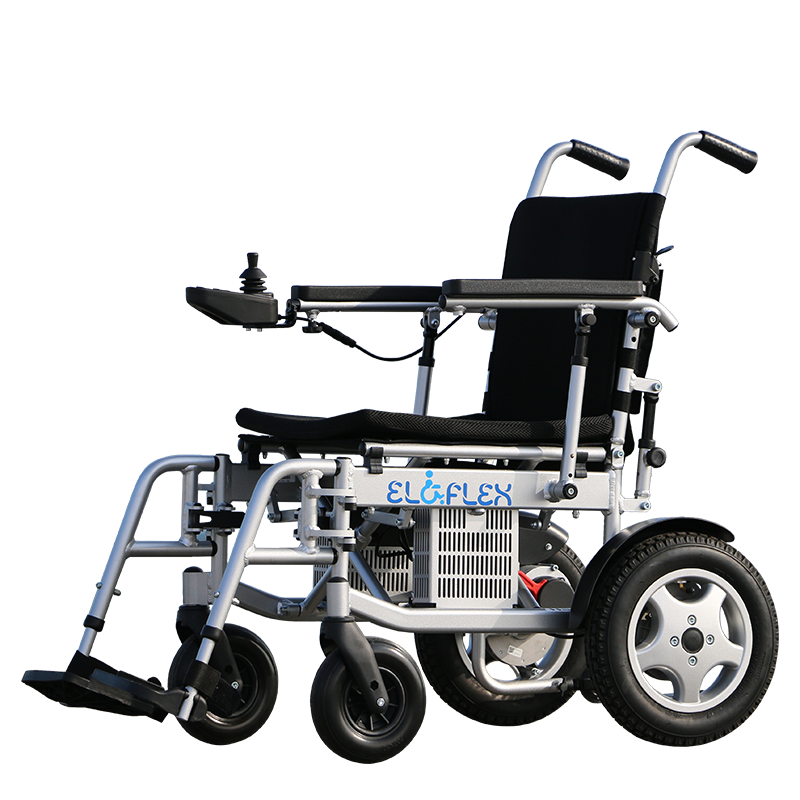 The heavy duty 10-inch rear tires ensure smooth access, both indoors and out, and work perfectly on most surfaces. 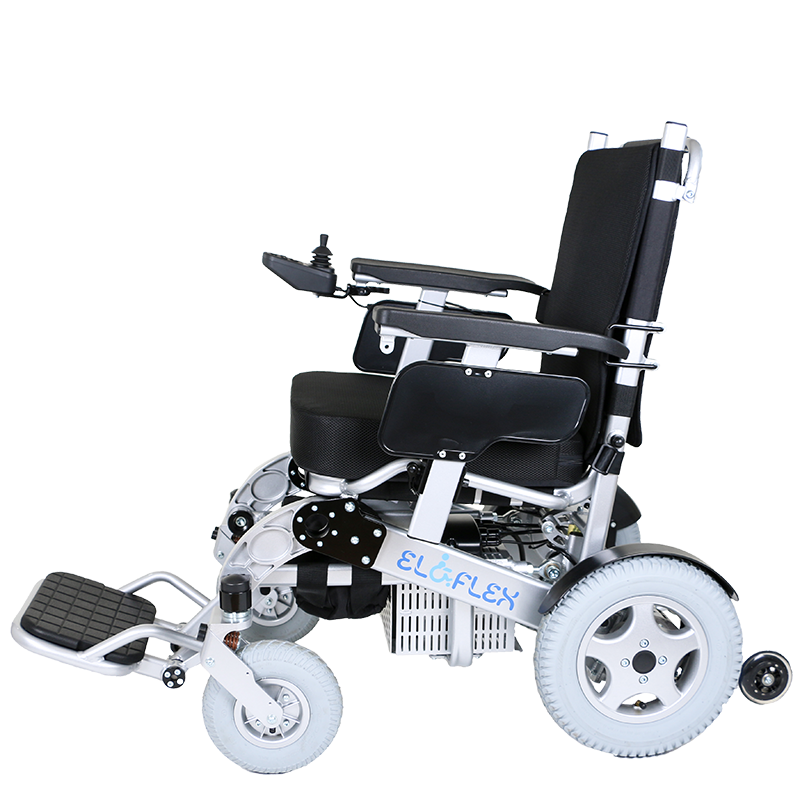 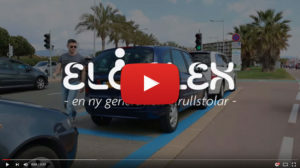 But if you plan to drive a lot on uneven surfaces, such as gravel roads, forest paths, lawns and cobblestones, you should choose our model L-Plus. 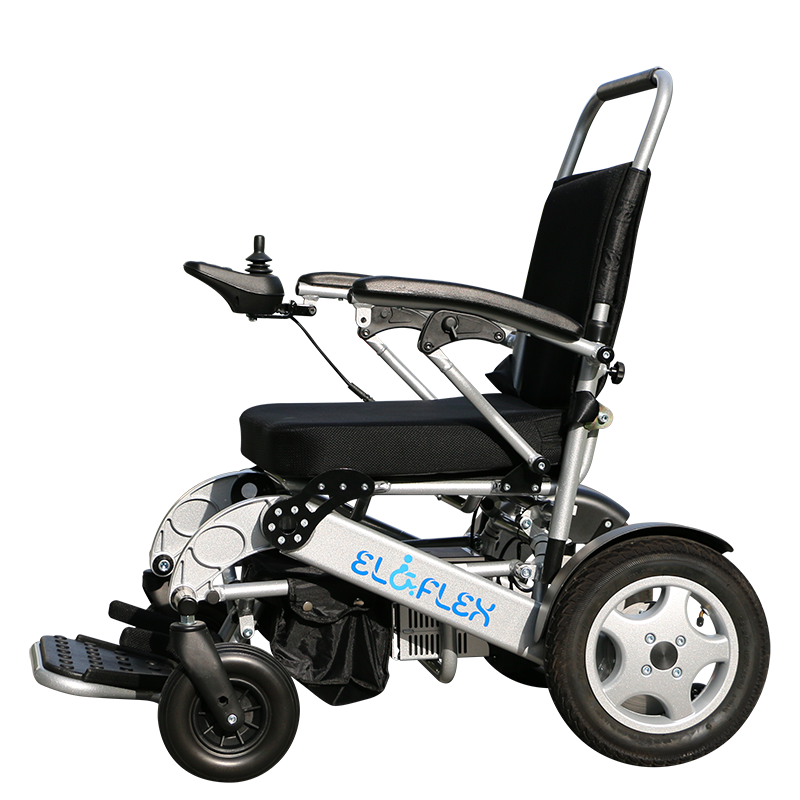 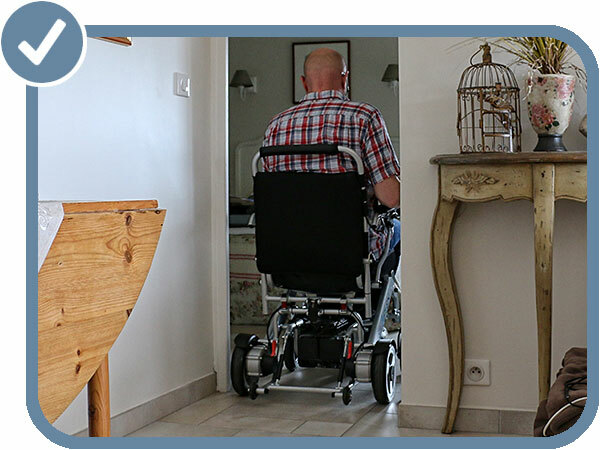 With its compact design and the market’s smallest turning radius, the model L is easy to maneuver – even in confined spaces. 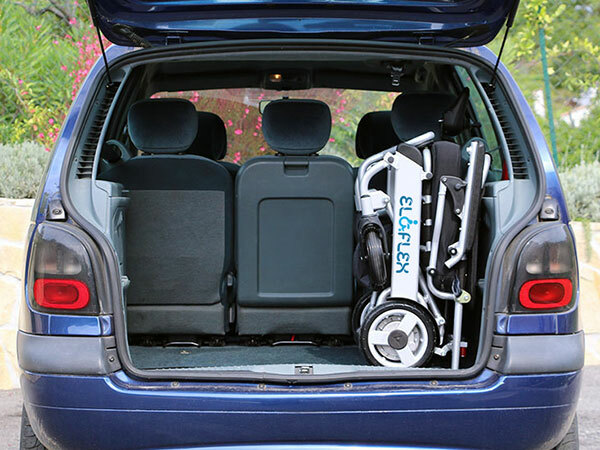 When folded, this is our smallest model, meaning that it takes up very little space in the car or at home. 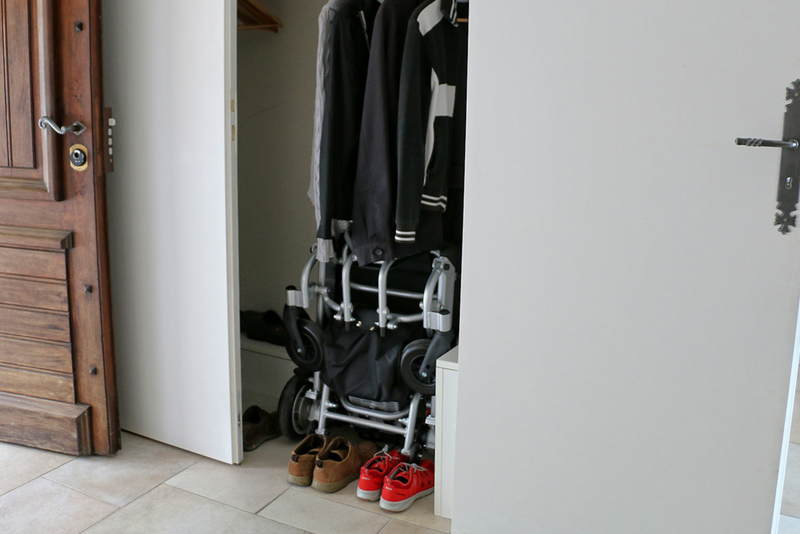 When not in use, it can be easily stored in a wardrobe. 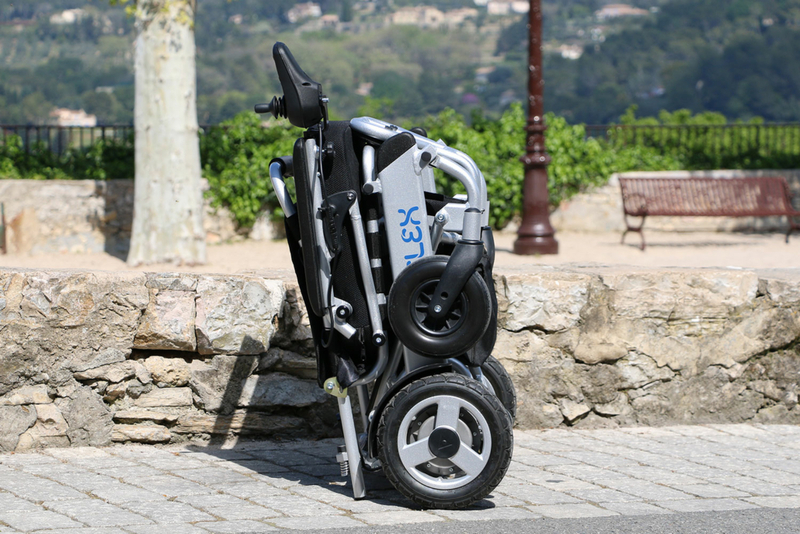 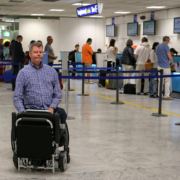 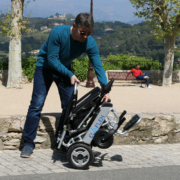 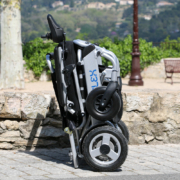 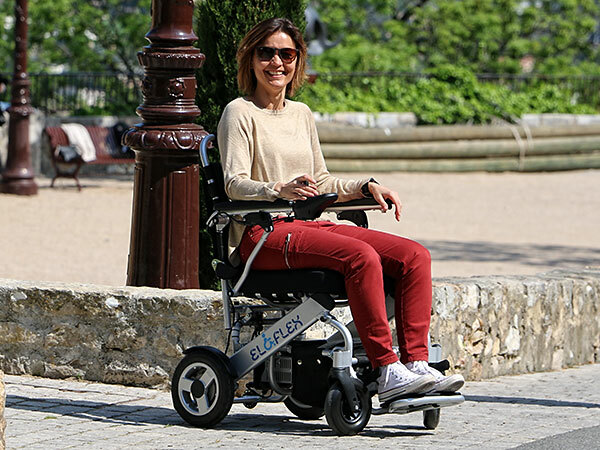 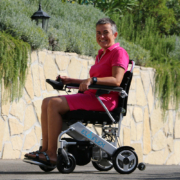 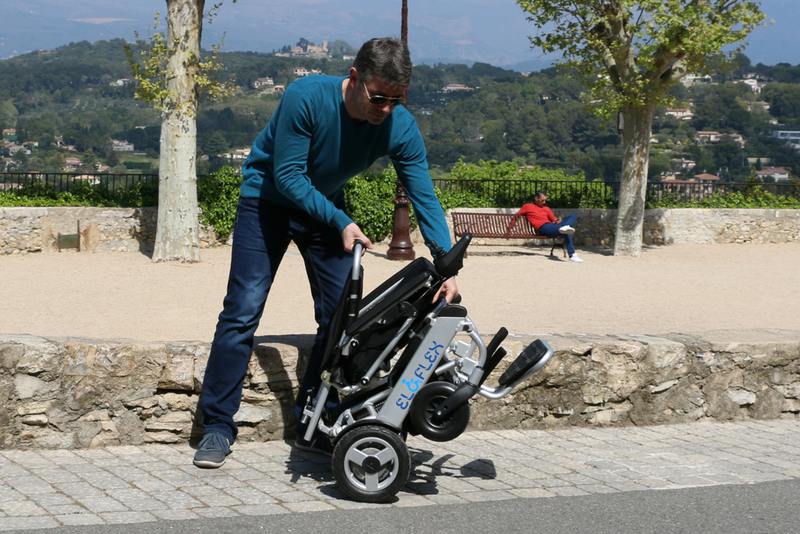 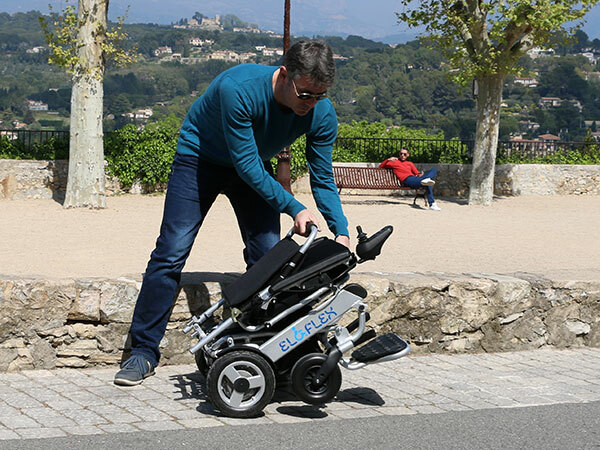 Thanks to a standard setup with two rechargeable batteries and brushless motors, you can drive for up to 30 km and use the chair for more than five hours on a single charge. 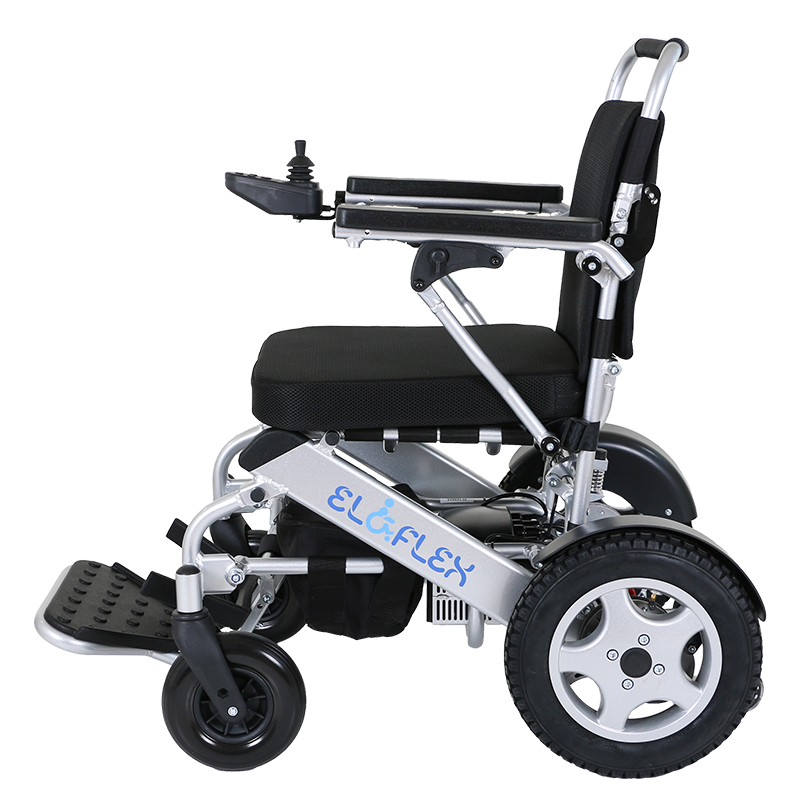 This model features 10-inch puncture-free rear wheels, ensuring a safe and secure drive regardless of the surface. 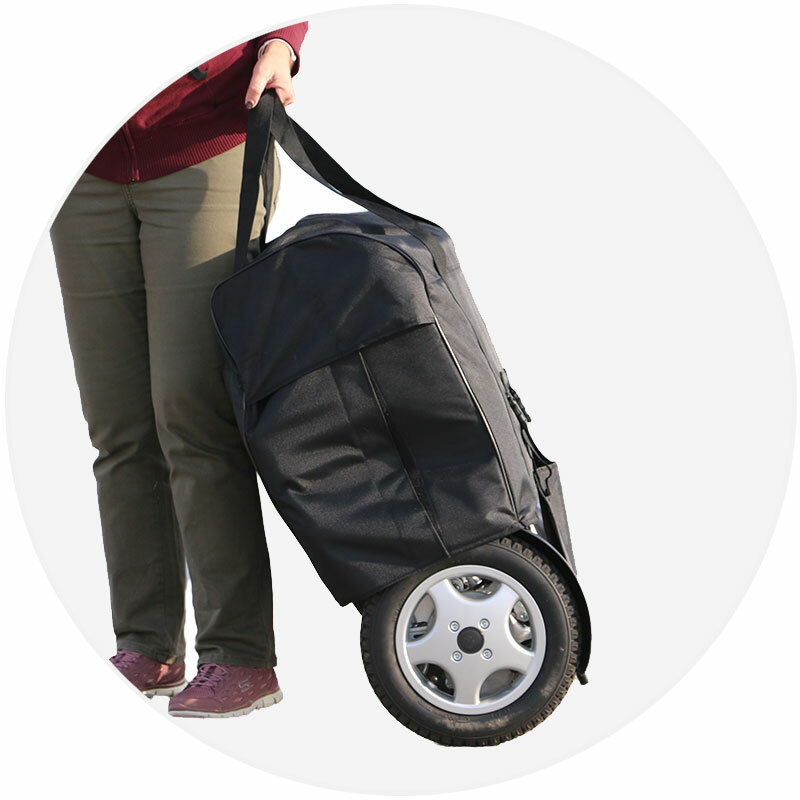 The heavy duty wheels are especially good to have when travelling since you never have to worry about surprise punctures. 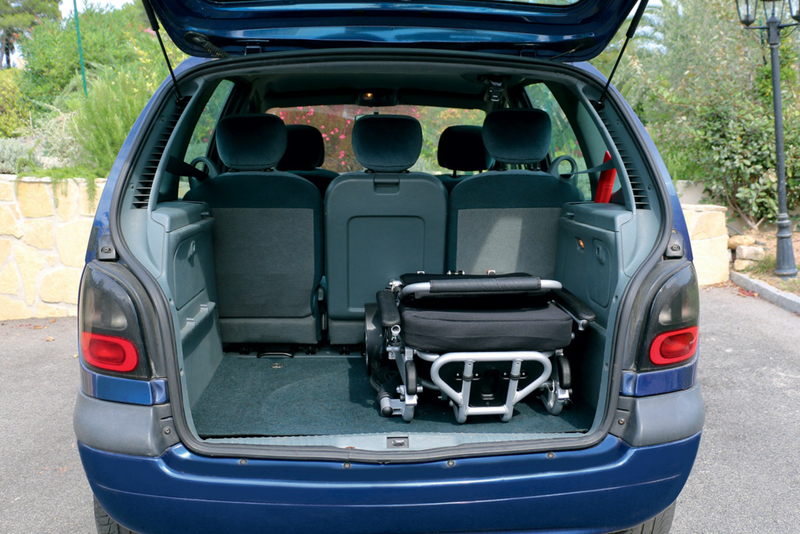 Model L is extra-small and compact when folded, making it easy to load in the car. 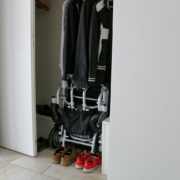 It also takes up less space when storing at home or staying in smaller hotel rooms. 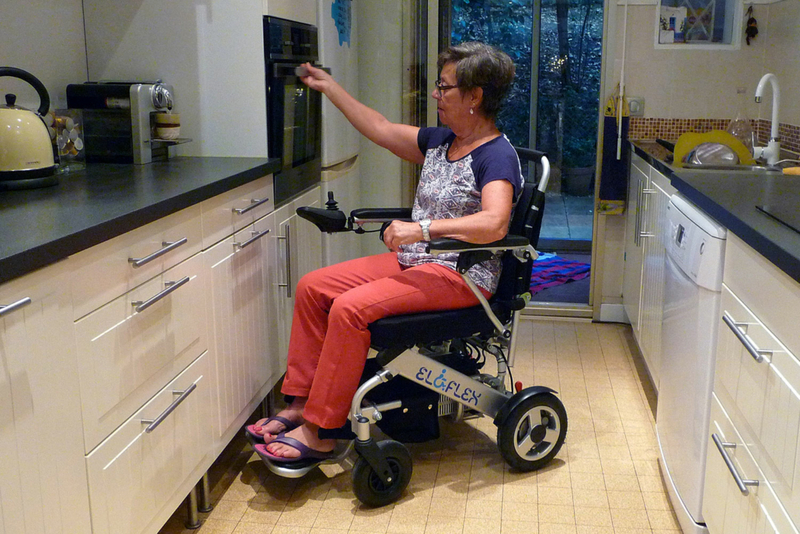 This handy model also fits into the smallest of elevators.